Do you get tears in your eyes when you sing the national anthem? Do you cheer when the troops come home? Do you feel a sense of loyalty when you see the U.S. flag blowing in the breeze? 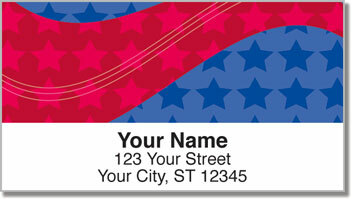 Then these address labels were made for you! They will show everyone you mail how proud you are to be an American living in the land of the free and the home of the brave. 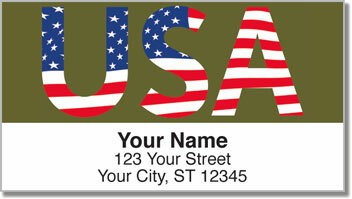 American Pride Address Labels from CheckAdvantage let you spread your patriotism and dedication on each envelope you put in your mailbox. Plus, this convenient product has a self-adhesive backing, which makes preparing outgoing mail fast and easy! 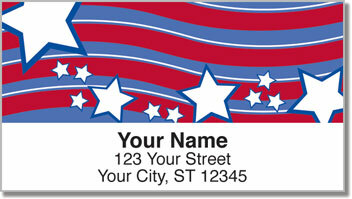 Get your very own American Pride Address Labels now! 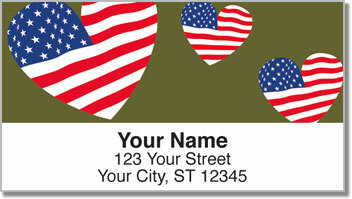 This design is also available to order as a set of matching personal checks!